It doesn't get much more New York than riding in a yellow taxicab around Manhattan. The streets are permanently dotted with canary yellow. But over the last year, the growing popularity of Uber has upset this long-standing monopoly. Now you book cars and map exactly where your driver is through the controversial app for rock-bottom fares; I have to admit, it's hard not to be a fan after an Uber fare to JFK cost me $15 instead of the regular $45. Most New Yorkers I know agree, and Uber is now a billion dollar business. But can Uber really offer the experience you get with the yellow fleet? Not only is the taxicab one of the city's best-known icons, but it serves as a microcosm of the very essence of NYC; the melting pot. Drivers come from every borough of the city and all corners of the world beyond, making each ride its own unique New York encounter. Currently over 50,000 men and women are licensed to drive medallion taxicabs. One such driver is 48-year-old Dan Baddiel, who grew up in Dollis Hill in London's NW10. Dan initially came to my attention when I saw him posing as Mr May for the NYC Taxi Drivers Calendar 2015. It features cab drivers in all manner of beefcake poses; think water fountains, puppies and bellies. Dan lives in Brooklyn with his 21-year-old daughter Dionna, and I spent some time with him to find out how New York looks through the eyes of a cabbie. What brought you to New York and how did you become a NYC cab driver? Dan: I moved to New York 26 years ago, after a five-week stint as a helper on something that was like the Antiques Roadshow, except they just specialised in golfing ephemera. We travelled the US for five weeks I had such a good time that I decided to stay. I was 22 and there was a vibe and buzz about which really caught my attention. There was always something to do and somewhere to do it at. I was fortunate enough to meet an Irish guy, when I first arrived, who had just set up a bicycle courier company. He hired me on the spot. I was a bike courier in London, before I came to New York, so I was experienced in the narrow bendy streets of London. After being a courier in NYC for three years, I had no trouble with the city's grid and I decided to become a cabbie. Dan: The variety. I have met all types - famous rappers, adult-movie stars, bankers, nine-month pregnant women on the way to hospitals, professional photographers, rich young brats, and some really lovely ladies who I've had dates with. The job offers the freedom to be able to work when I want and to be able to take as much time off as I want. And to work as hard as I want, so I can make enough money to take time off. There's no boss saying "you're five minutes late." Also if I'm having a really bad day, I can just go home. Try telling your boss you're having a bad day and want to go home. Has being a cabbie changed your perspective on NYC? Dan:Not really, there's just more to discover. There are parts of the city I never knew existed, people with all kinds of points of view and attitudes, with different senses of humour and taste in music. I find it relaxing to drive to and also to find passengers, especially older people. Recently I was playing some Jackie Wilson and the elderly passenger told me to turn the meter off (at $13 or so), gave me $30 cash and said to play him some more classic or northern soul. Who's been your most interesting passenger? Dan: I have had too many interesting people to put the finger on just one, but recently I had a bloke who shared the same interest in northern and classic soul as myself, as well as a lady who admired Gil Scott-Heron as much as I do. There was also the Orthodox Jew who had to get in the front, because the woman he was with was not his wife. And the woman who told me to keep the meter running while we sat stationary for an extra half hour while I explained to her my version of the meaning of love, for her to get out and say, "the way you talk about the two women you have loved is nothing like I've ever felt for my boyfriend of seven years." The Iraq vet double amputee on his first visit to New York on his way to his new job, after being headhunted for a financial gig on Wall Street. Of course I've had my fair share of negative experiences too, including the guy I threw out because he swore up and down I wasn't allowed to play music at all, and the guy who as soon as he got in, was yelling about how he hates cabbies. He got thrown out too. What's your favourite part of New York? Dan:Brooklyn as a borough is by far my favourite part of the city. It has a very strong sense of community and you can find basically anything and everything you want there, as well as a beautiful park, Prospect Park. Brooklyn has many neighbourhoods which are a pleasure to walk through, not to mention great views of Manhattan. 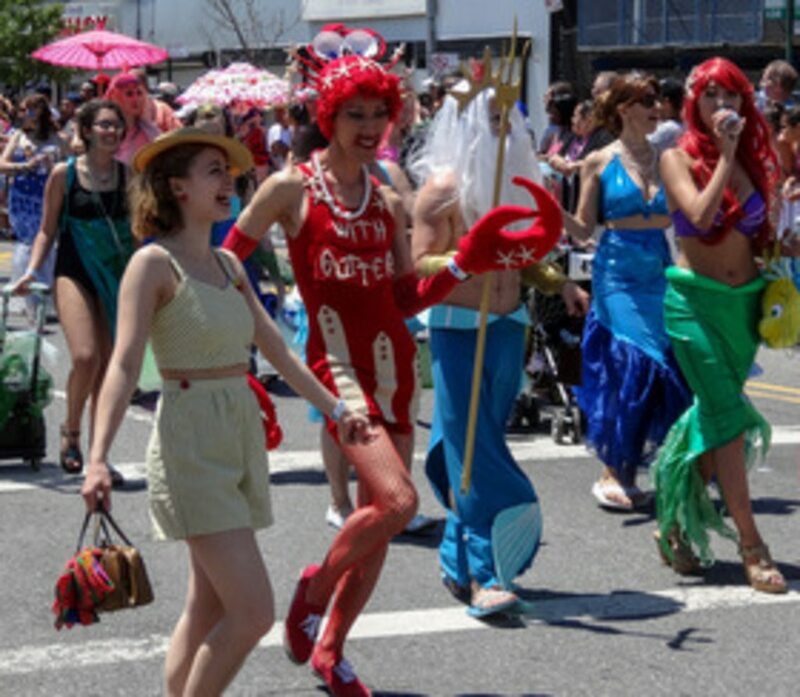 And it hosts the Mermaid Parade every summer solstice by Coney Island, by far the best parade in America. Where do you like to stop off and eat, any recommendations? Dan: I like Asian food and West Indian food, so Plump Dumpling in the East Village for good and very affordable Asian food, as well as Great NY Noddletown, especially it's open until 4am. As for West Indian food, it has to be either The Islands on Washington Avenue in Prospect Heights, Vee's on Nostrand Ave, or Peppa's on Flatbush Ave in Flatbush (the joint is open 24/7). Go to K-Town on West 32nd for Asian food and sushi. Finally, what's the best tip you've ever had, and what should people think about tipping in NYC? Dan: I say the good tips make up for the bad tips. Sometimes people tip nothing, even after a trip with no issues and a good conversation. And some are really generous. I've had 100% tips, 200% tips. One Christmas I had a guy give me a $100 for a $17 trip and say: "Keep the change, have a very happy Christmas." On a $200 trip (best fare I've ever had) to New Jersey, the guy gave me $300 and said: "Thanks, have a good night." But like in a restaurant, people should tip 15% minimum. 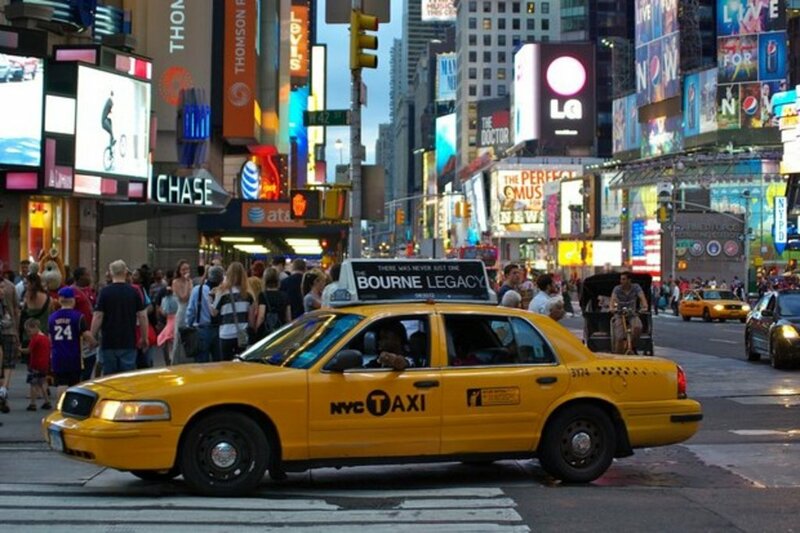 Fancy riding around NYC in an iconic yellow cab? Book your trip to New York here.